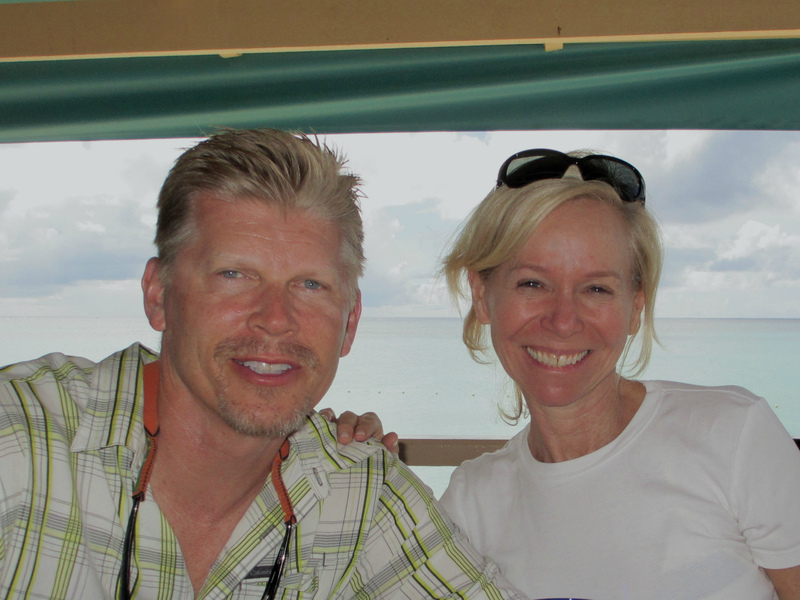 The Caribbean 1500 Rally is orchestrated by the World Cruising Club. 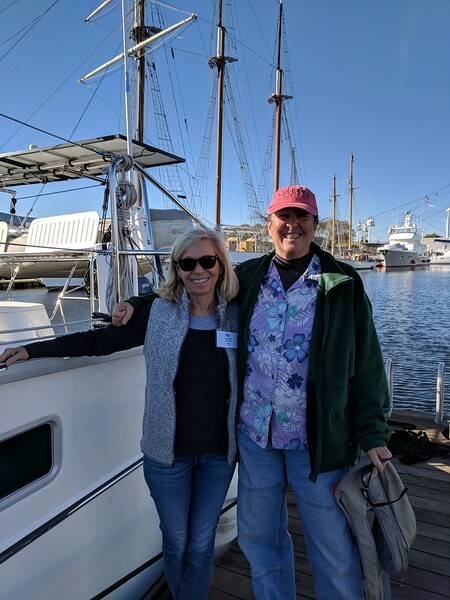 For this November’s rally from Portsmouth, VA, to Tortola, BVI – 21 boats participated. 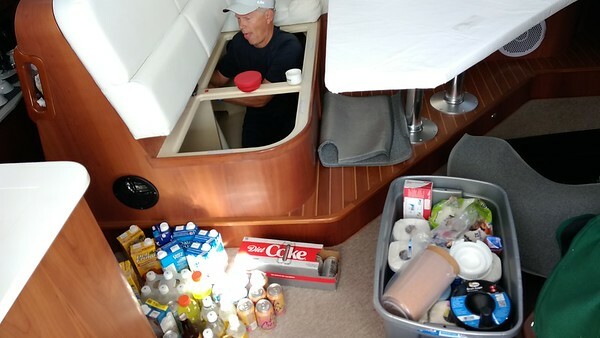 Mira elected to join the rally – despite our ultimate goal to sail past the BVI to Antigua. 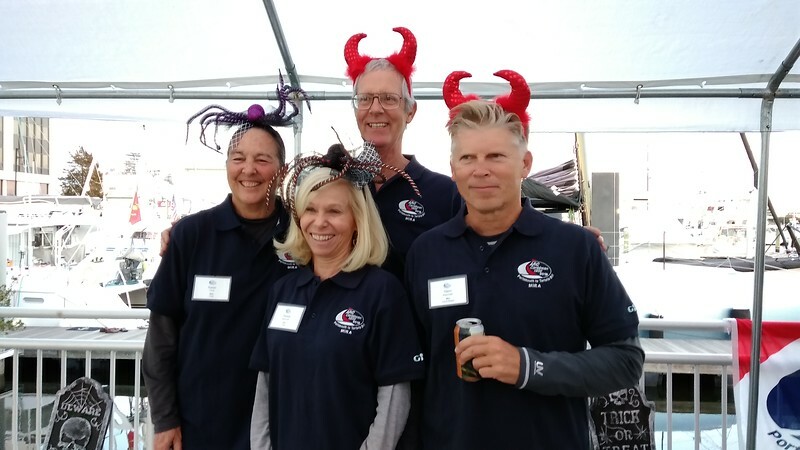 The WCC offers a wide range of benefits when you join their rallies. 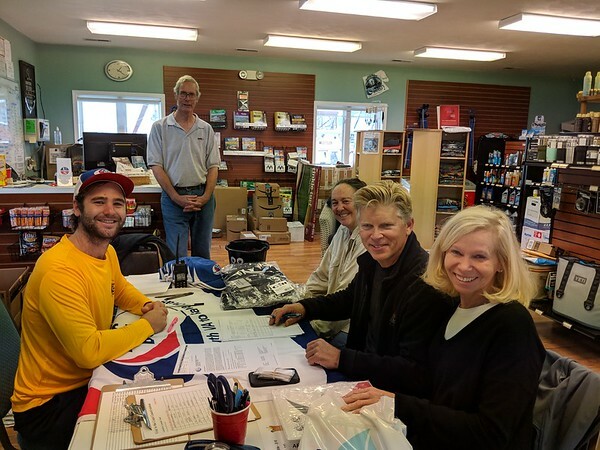 They provide a superbly prepared Rally Handbook with a wide range of safety and sailing system checklists, off-shore seminars in the week prior, and last but not least, camaraderie with other sailors through happy hours and local events. 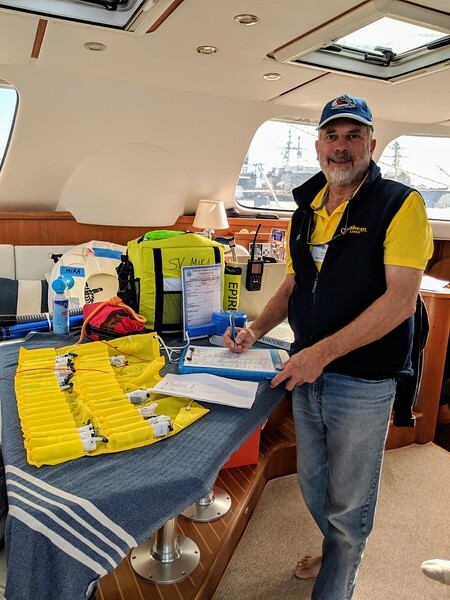 and we completed extensive offshore safety requirements for Carib 1500 including authoring our first official Mira Ships Operations & Procedures manual. Yes.. it was a very busy (and expensive few months). 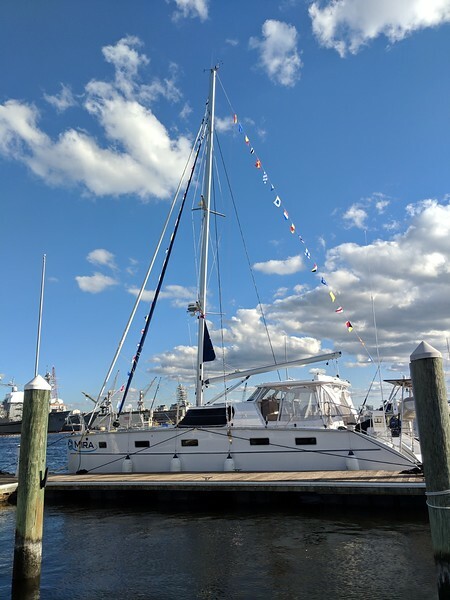 As the leaves were starting to drop, Mira sailed down from her fall home in Annapolis and arrived at the Ocean Yacht Marina in Portsmouth, VA, on October 25. The next week was reserved for additional preparation before the official start of the Carib 1500 Rally on Sunday, November 4th. 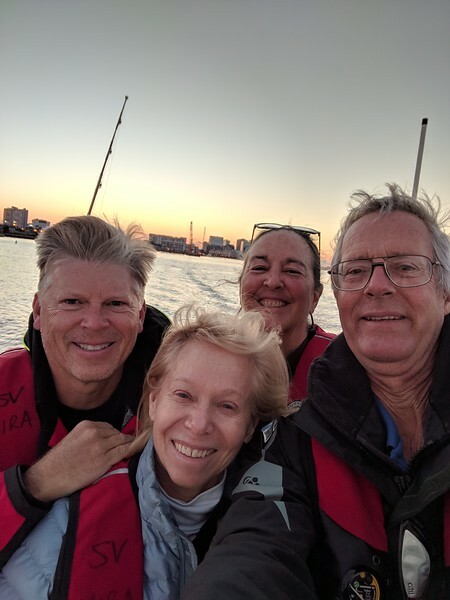 Pam and Glenn were happy to be joined by Karen and Jason Trautz, who had recently completed a ten year circumnavigation on their own Antares catamaran, YOLO. We were thrilled to have sailors with their incredible sailing experience aboard Mira for the offshore passage to Antigua. 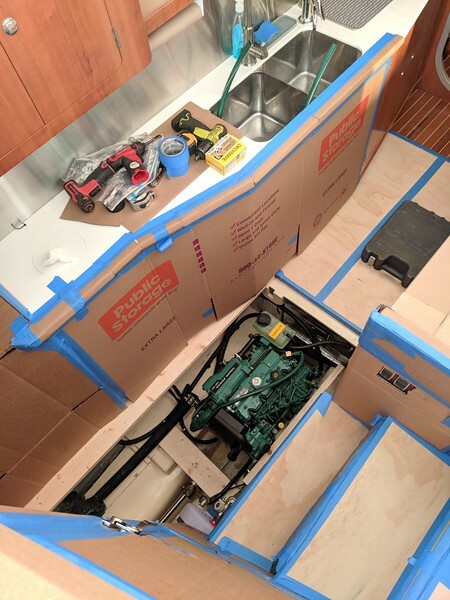 Our week was filled with boat work, seminars, meetings, tours, provisioning, cooking and happy hours. Mira’s interior was well protected during her engine swap out. 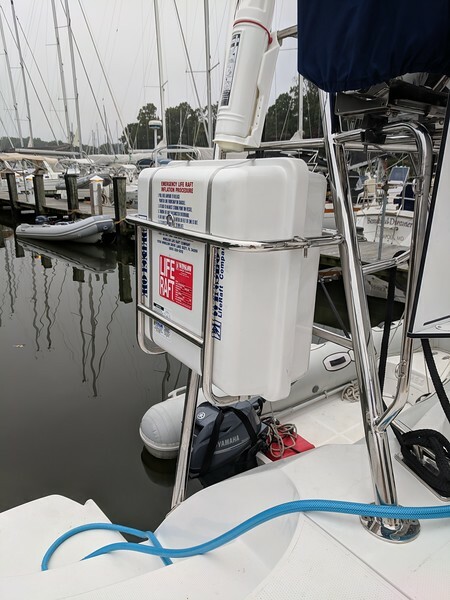 New life raft and stainless steel cradle. 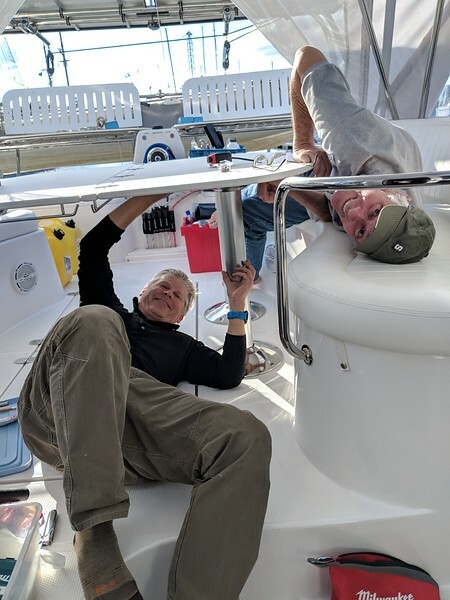 Check in for the Caribbean 1500 at the Ocean Yacht Marina in Portsmouth, VA.
Glenn and Jason hard at work installing new pedestals. 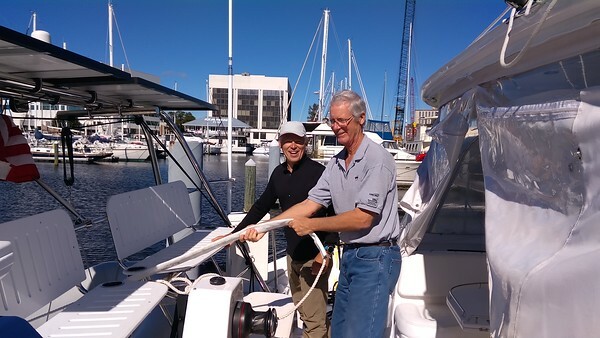 Glenn installing a thru-hull cap amid provisioning stores. Chafe gear – always a necessity! 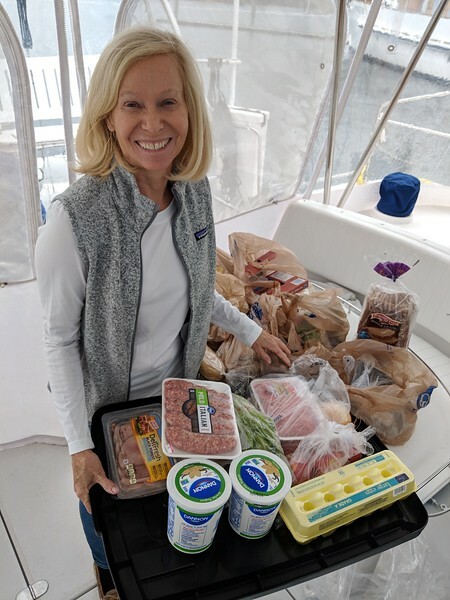 Just a fraction of the provisions necessary for 4 people for a 12 day passage. 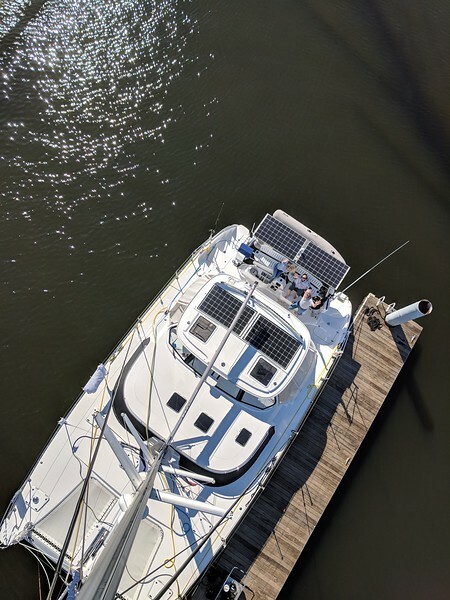 The view from above! A trip up the mast is always required before a long passage. Mira festively decked out in her dress flags for the Rally. Mira passing the rigorous safety inspection. 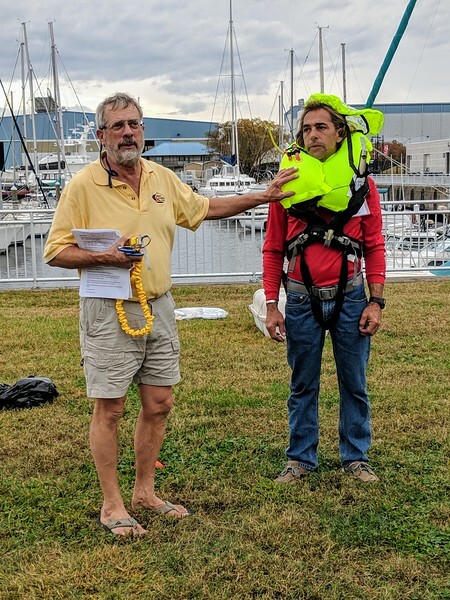 Safety demonstrations included PFDs, life rafts, and flares. 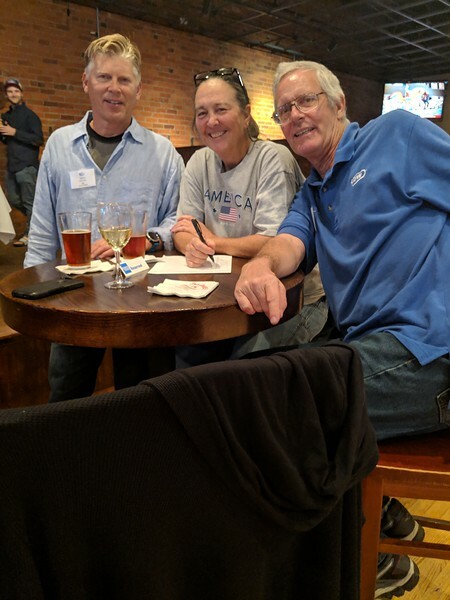 Glenn, Karen and Jason at Happy Hour in historic Portsmouth, VA.
Mira’s crew decked out in their Halloween best. Pam and Karen off to provision! 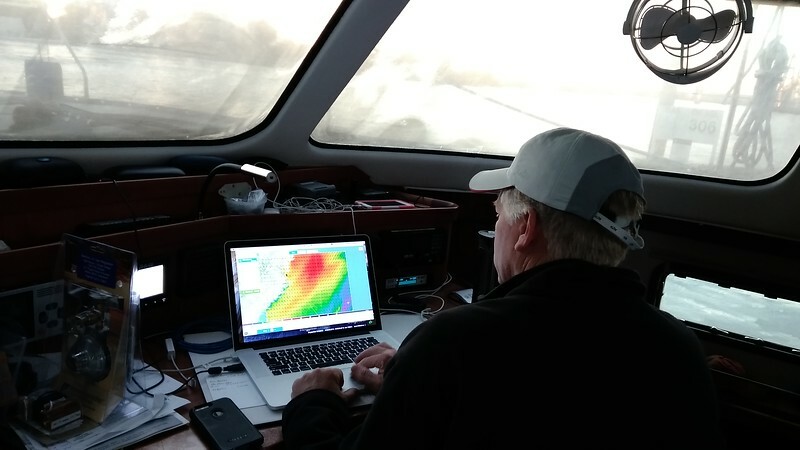 Glenn studied weather information for the passage. Departure Day! Sunday, November 4th! Oh what fun!!!! Thanks for sharing the pics! See you soon! The preparation was fun! The actual journey …..